A piece of office furniture that’s often overlooked is the desk chair. People typically purchase other pieces of office furniture first, such as the desk and bookcases, and the quality desk chair comes later — a kitchen chair will do for now. However, your desk chair may be the most important piece of furniture in your office. Not only does it have to match the desk and pull the whole room together, but it also must offer a high level of comfort and withstand repeated use — after all, it’s where you’ll be sitting anytime you work in the office. An uncomfortable chair reduces productivity, while a chair that’s comfortable can increase it. 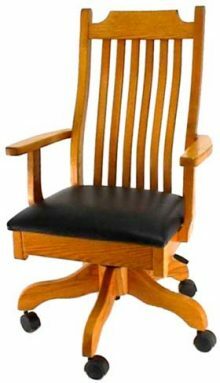 If you’ll be sitting at your desk for long periods of time, a Mission desk chair may be the best option for you. Mission desk chairs are known for their impeccable craftsmanship and aesthetic appeal. However, they’re also incredibly strong and durable and can handle daily use. Unlike plastic and vinyl chairs that break and wear down, a mission desk chair will last for many years. No matter what style office you have, you’re sure to find a mission desk chair that coordinates perfectly. Whether you want a chair with wooden slats or leather cushions, we have what you need. Our craftsman can incorporate fabric or leather cushions to make the chair more comfortable. We can also add padding to the armrests for additional comfort and support. Many of our chairs feature a gas lift, so you can adjust your chair to the perfect height for any desk. Choose a low-profile chair back, or a high back for extra back support. There’s a Mission-style desk chair to suit every preference. When you’re shopping for your Mission desk chair, it’s important to take every factor into consideration. First, think about the style and finish of the wood you want. 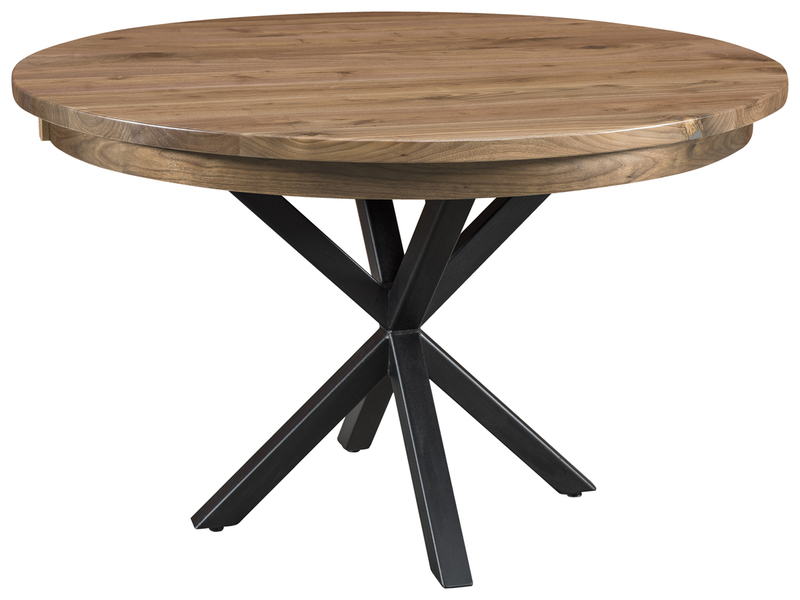 If you have other wood furniture in your office, it’s best to choose a finish that matches the other pieces. For a bolder look, you can easily paint the chair any color you choose. You should also consider the color and type of upholstery you prefer. Many options are available, and you can customize the upholstery to your unique preferences. Think about the room the chair will go in and what will look best while still offering the level of comfort you need. Once you’ve dreamt up your perfect Mission desk chair, let us bring it to life. When you shop with AmishOutletStore.com, you can also get up to 33% off the piece’s retail price.